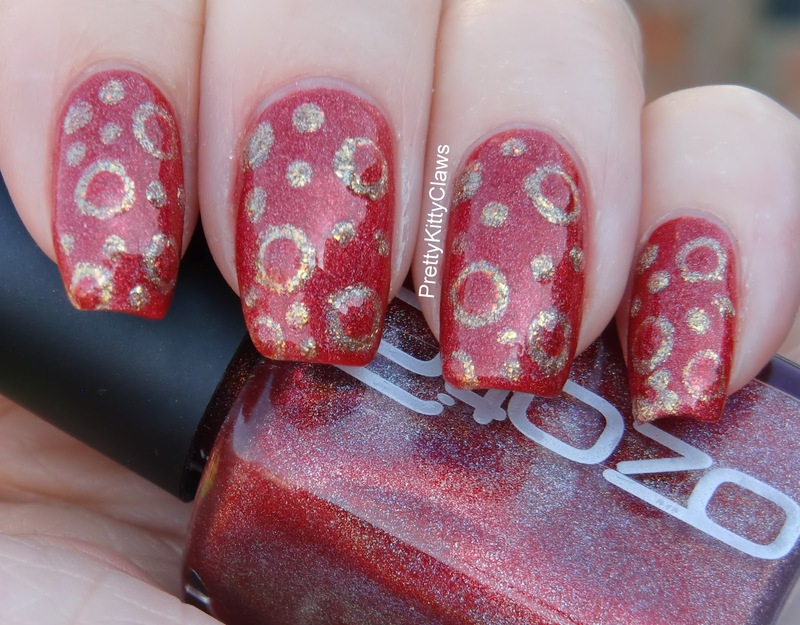 PrettyKittyClaws: Ozotics 518 and a Dotticure! 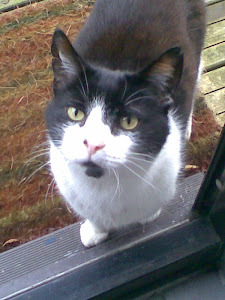 Well first off I just wanted to say Hi to anyone who just signed up to my blog. It seems that everyone wanted to know about GOSH Holographic Hero!! So, we have still been having sun in the UK and I want to make the most of it before the gloom descends and holo's are not an option anymore. I also realised that I never wear reds. Ever. 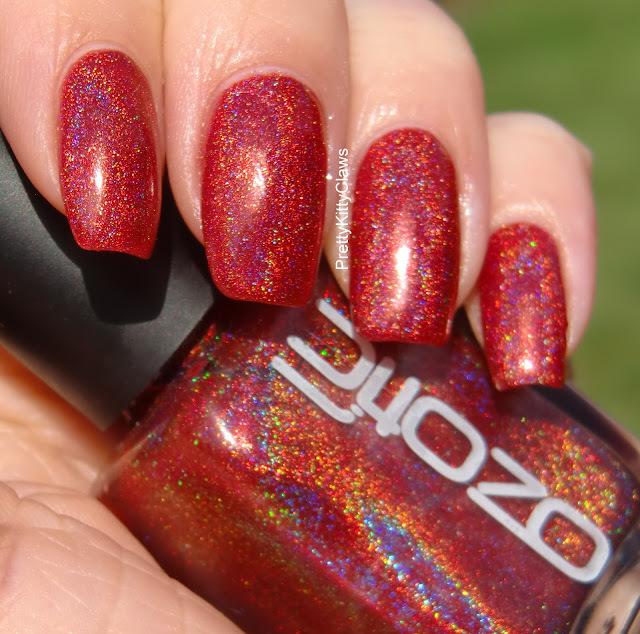 So here you go - a red holo. For this mani I used Ozotics 518 from the recently discontinued 500 series. 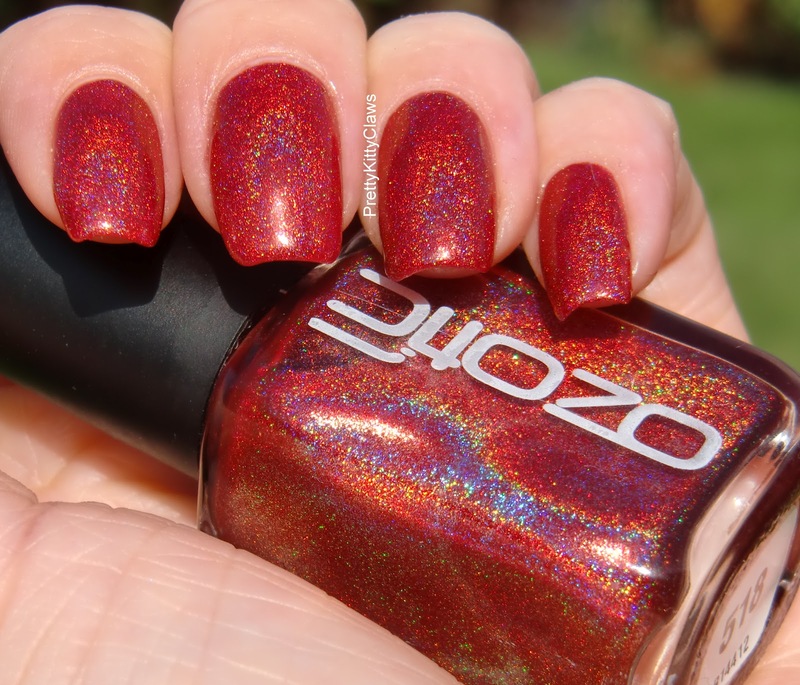 I was lucky enough to have a lovely polish friend on Oz who sent me my Ozotics - I got all of the ones I wanted before they went so I'm happy with that. First off I should say that if you like reds this polish is beautiful and the formula is great. I used a coat of my usual OPI Nail Envy Maintenence, a coat of GOSH base fix and then 2 coats of Oztoics 518. I did worry about applying a topcoat to this because sometimes that can dull the holo effect but I tried it on my thumb first and it was fine so the pictures are taken with 1 coat of Cult Nails Wicked Fast as a topcoat. Now over the weekend I was obsessed with looking through almost entire blog of The Crumpet! Have you heard of her? - Debbie at The Crumpet that is. If not you need to look at her blog which you can find here. I love the way she writes, it's almost like chatting to a friend and getting great pics of nails too. I also love that she doesn't try and be perfect, you see awesome mani's on her blog and she also posts ones she doesn't like. I love that - a real person who isn't always perfect. I think in this nail blogging world sometimes people seem so perfect and so amazingly talented it makes me scared to try in case mine turns out rubbish and I fail. People like Debbie at The Crumpet help me to see that you just have to do something - and if it doesn't turn out the way you wanted then it doesn't really matter. She also has an amazingly creative mind and posts a lot (and has massive hauls which make me feel much better about mine! lol). So in tribute of my Sunday morning looking at The Crumpet's blog I decided on a dotticure. Debbie does a lot of them and she inspired me. So here my dotticure with Ozotics 518 and Enchanted Polish Austin Powers. Austin Powers was a bit hard to work with for this dotticure because it has quite a bit of glitter in but it was worth it. And if you are like me and live somewhere where the sun rarely shines this is what it will look like the rest of the time! I really liked this mani - it did remind me of Christmas baubles a bit - maybe I was aiming for Christmas in August or maybe I'll just have to try it again later in the year! How great is this! I love it! Mmmm, red holo. Lovely colour! I've fallen in love with these colours and the mani !